To access and use the Reading Level filter follow these steps. First, in Google find the settings icon. This can be in different locations on your screen depending on the device you are using. The image below shows a PC, with the link to the settings at the bottom right of the opening page. 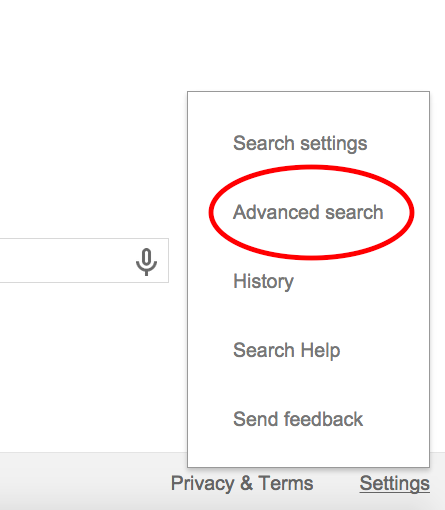 Select Settings and chose the Advanced Search. 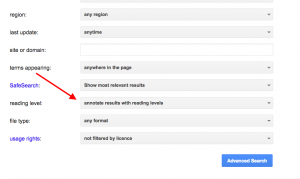 Choose the desired reading level and select Advanced Search. 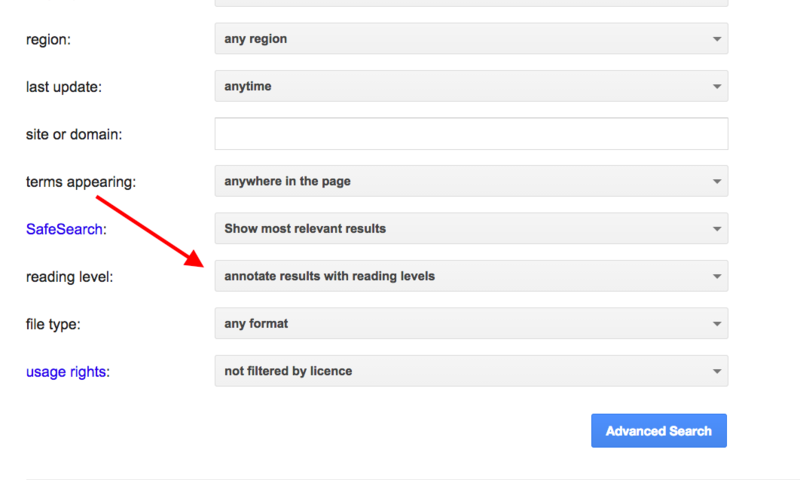 Your search will now reflect your Reading Level filter, and you are good to go! Want to learn more? A video in the Google Tools for Learning series demonstrating this feature is available through a ‘Spectronics Online’ subscription below. Dan Pyne reports that over 80% of university students said they begin research projects by using an internet-based search engine, while less than 1% start by consulting their library’s website. The Library of the Future by Dan Pyne, posted August 22, 2014. Comprehension is enhanced when images are linked with text. Hibbing, A. N., & Rankin-Erickson, J. L. (2003). A picture is worth a thousand words: Using visual images to improve comprehension for middle school struggling readers. Reading Teacher, 758-770. 2 Responses to How do I search in Google using the reading level filter? I am a high school teacher. I have recently’discovered’ that Google had a search option for documents based upon reading levels. In the same breath, it was also noted that it has been removed. With the ongoing demand for differentiation in a mixed ability setting, I thought such an option as golden. Since the google search option is no longer available I was wondering if you knew of something similar. Google’s Reading Level filter would have been Golden for many. We’re not aware of any alternative. Perhaps we should lobby Google to return it?